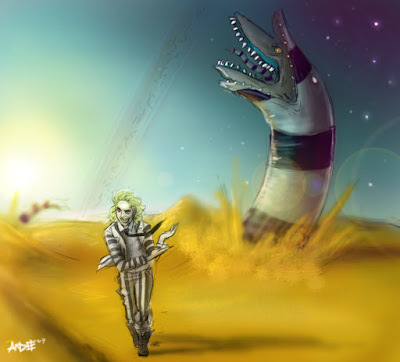 AuthorQuest: What is Saturn from "Beetlejuice"? What is Saturn from "Beetlejuice"? So here's a question I've been wondering about since I was seven years old. 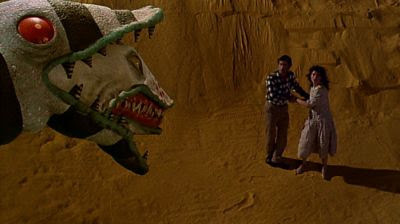 What the hell is that place in Beetlejuice with the desert and the two-faced sandworms and the moons and time apparently moving faster? What do we know? Well, our first glimpse happens when dead-Alec Baldwin walks off his front porch. The camera whips around weirdly and he's there. 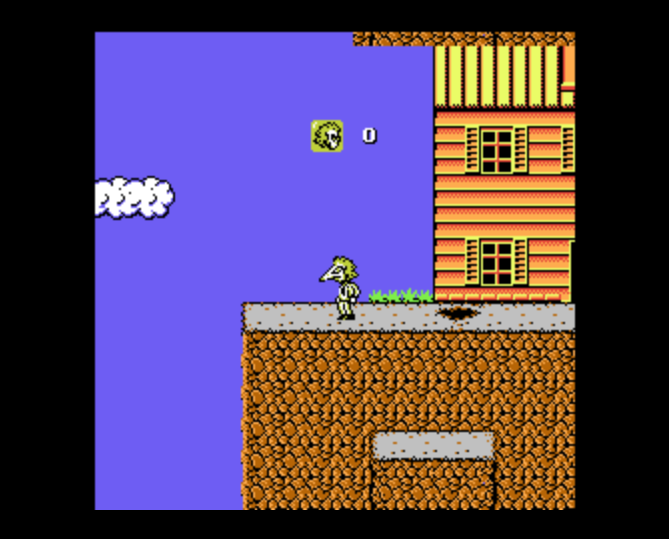 It's like he's on a different world--dark blue sky, green planet, weird stone coral-like structures (I assume they're stone). Something is moving in the sand, something serpentine. He spends about five seconds there. Then dead-Geena Davis pulls him back on the porch and tells him he was gone two hours. But this is dismissed quickly for other revelations. I have no idea how she pulled him back on the porch. Was he just standing on the step? Staring into nothingness all that time? Another time, dead-Geena Davis tries to leave the house. Dead-Alec Baldwin follows her. They both end up on "Saturn" and are immediately separated. They can't even see each other, like they're miles away. But somehow they find each other, and rediscover the door back to their house. This is the first appearance of the sandworm, which they narrowly avoid thanks to a well-timed Davis slap (precursor to The Long Kiss Goodnight?). * Seems like time moves differently whenever they're not in the house. After they draw a door and meet with Juno, they find the family totally moved in, and they've been gone three months. 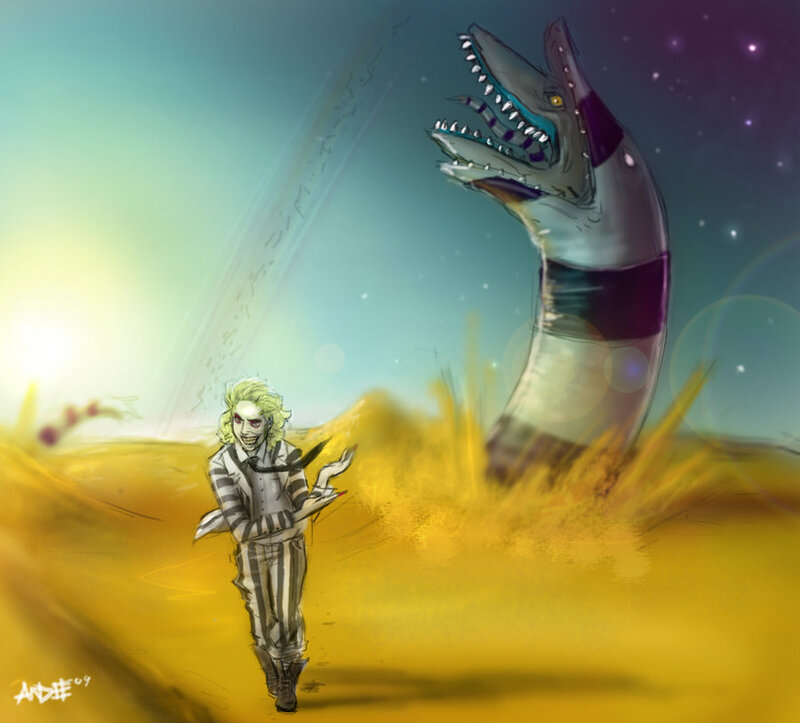 So it's not just the sandworm place. Are they part of the same plane of existence, just different locations? Okay, so WTF is this place? Is it a planet? That's what I thought as a kid, since I didn't know any better. They're being transported to the planet Saturn. 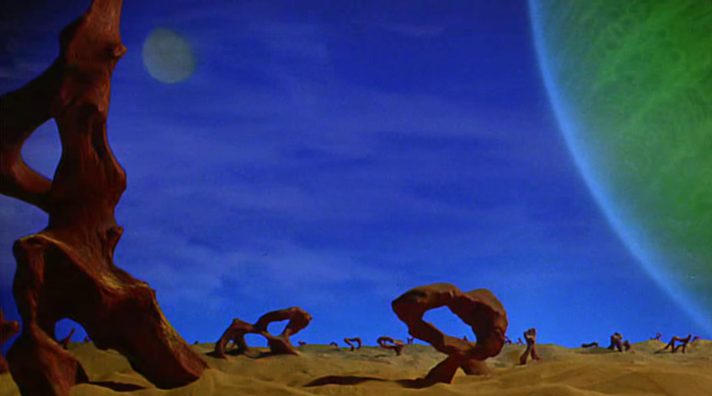 But that doesn't explain the time-movement, the sandworms, the door, the lack of rings, the fact only dead people can see it, that it's a gas giant with no solid surface or breathable atmosphere. Is it some kind of underworld? Saturnus is the romanization of Cronus, the titan that was the father of all the Greek gods until Zeus fooled him. He was a symbol of wealth and agriculture (but so was just about everything) and time. Except for that last one, I don't see the relationship here. 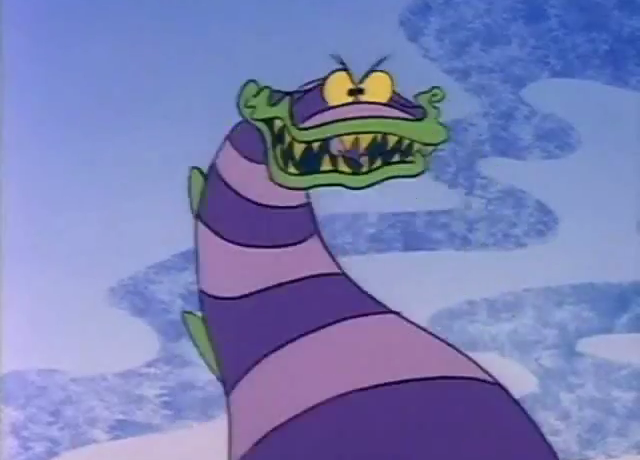 In the cartoon, the sandworms live in... Sandwormland, which is below the "Neitherworld" (Beetlejuice's realm). "Skaaren's rewrite also altered McDowell's depiction of the limbo that keeps Barbara and Adam trapped inside of their home; in McDowell's script, it takes the form of a massive, empty void filled with giant clock gears that shred the fabric of time and space as they move. 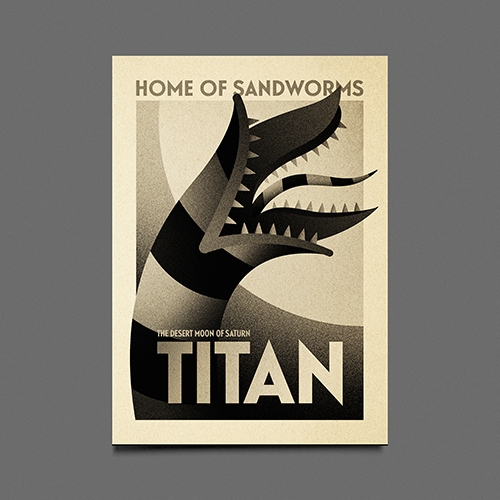 Skaaren had Barbara and Adam encounter different limbos every time they leave their home, including the "clock world", and the Sandworm's world, identified as Saturn's moon Titan." What the hell is this place? I wanna know! 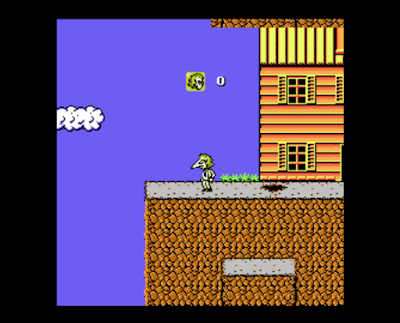 This is more of a limbo than anything.